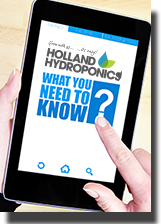 If you’re struggling from a dry environment with low humidity (RH), which should be around 60-70% during vegetative growth, then dropping to around 30-40% during flowering, then the RAM Ultrasonic Humidifier could be the perfect addition to your grow room to get humidity levels at there optimum. This simple to use RAM Ultrasonic Humidifier contains a tank that will release up to 400ml of mist per hour. It’s also fully adjustable, allowing it to be set at the ideal level to release the correct amount of mist that's required to promote healthy plant growth. It also comes with a power cable, UK fitted plug and 12 month manufacturers warranty.